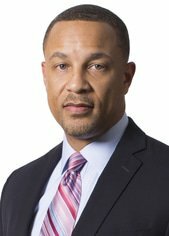 Breon S Peace is a partner in the New York office of Cleary Gottlieb. His practice focuses on white-collar defence, regulatory enforcement matters and complex litigation. He regularly conducts sensitive internal investigations and represents corporations and business executives in domestic and multi-jurisdictional regulatory and criminal investigations involving allegations of, among other things, fraud, insider trading, money laundering and corruption. He also advises on corporate governance issues and compliance programmes. Breon frequently handles matters involving the US Department of Justice, the Securities and Exchange Commission and non-US authorities. In addition, he represents corporations, officers and directors in complex commercial litigation matters. Breon has represented numerous companies and individuals in Latin America in connection with criminal and regulatory investigations of bribery. Additionally, he has assisted companies in the region with the review, development and enhancement of anti-corruption compliance programmes. Breon has been recognised as a leading lawyer by Chambers USA, The Legal 500 US and Super Lawyers: Top Rated White-Collar Crimes Attorney. He previously served as an assistant US attorney for the Eastern District of New York where he prosecuted criminal cases. Breon received a JD from the New York University School of Law.